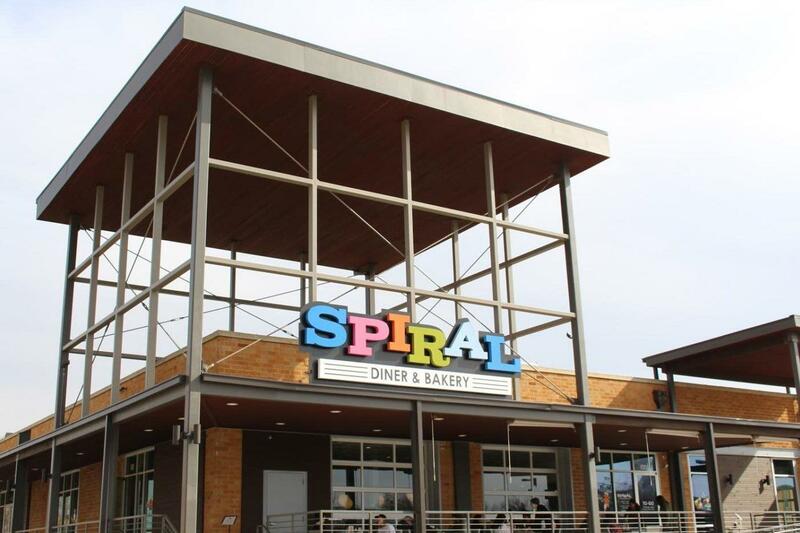 Spiral Diner's newest location is located at 608 E Hickory Street in Denton and stands out amongst other restaurants due to its colorful sign and unique construction. Spiral Diner, which is an all-vegan diner and bakery, opened in Denton in August and has attracted customers from across the Dallas-Fort Worth area over the last few months. DENTON – With veganism on the rise across the world, it is no surprise that Spiral Diner, an all-vegan diner serving traditional diner food with a plant-based twist, opened a location in Denton in August. Upon entering the new location, customers are greeted with vibrant colors and natural lighting that enhance the feel of the restaurant, opening it up and giving the restaurant a very welcoming atmosphere. Along with bright decor, your eyes are instantly drawn to the colorful images of animals that hang near the entryway. The menu is filled to the brim with the diner food that we all know and love, and it is exciting for vegans (such as myself) to be able to order anything on the menu, from appetizers to desserts, without consulting a waiter or waitress about ingredients or preparation and cooking methods. Spiral Diner’s famous Spicy Buffalo “Chick’n” Nachos, topped with soy-based “chick’n,” ranch dressing, buffalo sauce and other classic toppings. Spiral Diner, which is an all-vegan diner and bakery, opened in Denton in August and has attracted customers from across the Dallas-Fort Worth area over the last few months. Spiral Diner is especially famous for its nachos, so of course, we ordered a huge helping of the spicy buffalo chik’n nachos, per my sister’s request. 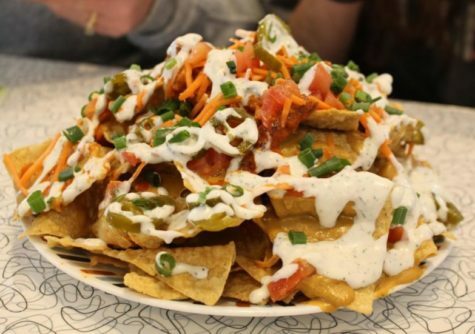 The nachos were enormous and topped with a cashew-based nacho cheese sauce, buffalo sauce, soy-based chicken strips, ranch dressing, carrots, jalapeños, tomatoes and green onions. We subbed the “blue” cheese for more ranch dressing. Although the chicken wasn’t a favorite at our table, the rest of the nachos were delicious and the kick of the spices throughout the mountain of nachos was hot while not being overbearingly spicy. The toppings are equally dispersed, ensuring each bite is met with a variety of delicious flavors and textures. 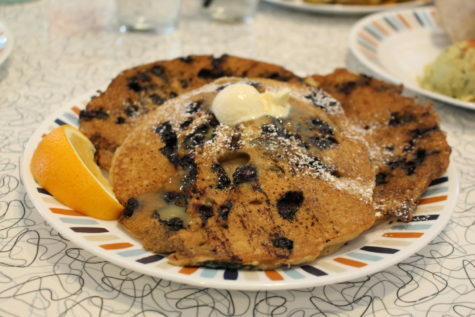 Hot and fluffy blueberry pancakes topped with margarine and light organic agave syrup and served with fresh fruit. Spiral Diner, which is an all-vegan diner and bakery, opened in Denton in August and has attracted customers from across the Dallas-Fort Worth area over the last few months. My mom went classic and ordered a short stack of their beloved blueberry pancakes topped with non-hydrogenated margarine and a light organic agave syrup. They were thick and fluffy, and everyone at our table snuck a bite (or two) of them. Unlike traditional pancakes, they were not overly sweet and the tartness of the blueberries was just enough to give them an even more pronounced flavor. 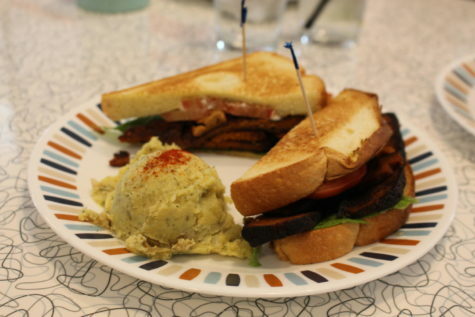 Spiral Diner’s take on the classic BLT, dubbed the V-L-T and filled with flavors that mimic the original sandwich. Spiral Diner, which is an all-vegan diner and bakery, opened in Denton in August and has attracted customers from across the Dallas-Fort Worth area over the last few months. 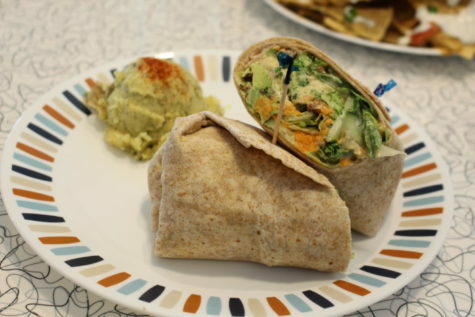 One of Spiral Diner’s spunky wraps called the Sweet Luv’Us Hummus Wrap. Spiral Diner, which is an all-vegan diner and bakery, opened in Denton in August and has attracted customers from across the Dallas-Fort Worth area over the last few months. I ordered the Sweet Luv’Us Hummus Wrap, which was packed with baked sweet potato, salad greens, broccoli, cucumber, avocado and pecans in a flour tortilla. The textures made each bite balanced and flavorful and because I love sweet potatoes, it was fun to try them in a wrap filled with a few of my other favorite foods. Each bite was unique – the tanginess of the hummus with the mild sweetness of the baked sweet potato were absolutely perfect together. The potato salad tasted just like the real thing and was topped with a dusting of paprika that enhanced all of the flavors. Their other side options include pasta salad, fresh fruit and french fries, and I plan on trying them all in the future. Not only is all of the food vegan, but their desserts are also made with organic ingredients and without refined sugars, bleached flour and hydrogenated oil. 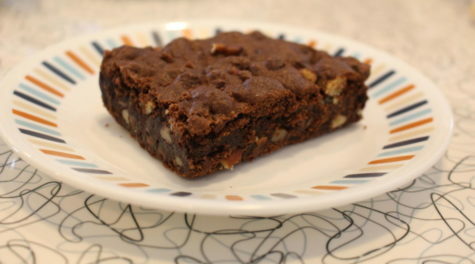 Spiral Diner’s twist on a beloved classic – a dark chocolate pecan brownie fresh out of the oven. Spiral Diner, which is an all-vegan diner and bakery, opened in Denton in August and has attracted customers from across the Dallas-Fort Worth area over the last few months. 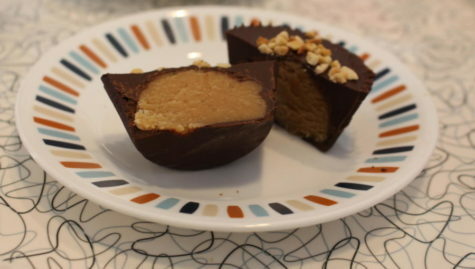 A freshly made peanut butter cup made with dark chocolate, a rich filling and unrefined sugars. Spiral Diner, which is an all-vegan diner and bakery, opened in Denton in August and has attracted customers from across the Dallas-Fort Worth area over the last few months. For dessert, a dark chocolate peanut butter cup that closely resembles a cupcake in size and a fudgy chocolate pecan brownie fresh out of the oven that does not disappoint. The peanut butter filling in the peanut butter cup was incredibly rich without being too sweet and the brownie was divine with a subtle nutty flavor and a velvety texture. 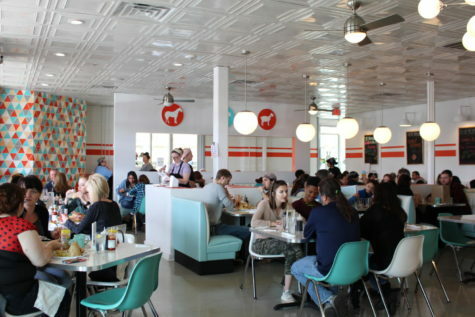 Spiral Diner hosts a full house at noon on Saturday. Spiral Diner, which is an all-vegan diner and bakery, opened in Denton in August and has attracted customers from across the Dallas-Fort Worth area over the last few months. With locations in Denton, Dallas and Fort Worth, Spiral Diner has grown into a dining experience both vegans and non-vegans alike know and love. 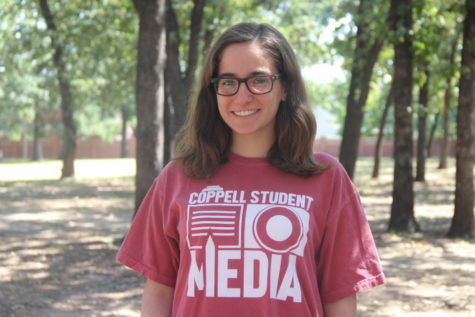 Although it is not around the corner, the short drive or DART ride to one of its locations is well worth the trouble. Next time you find yourself wanting to try something new and exciting, head on over to one of the Spiral Diner locations in our area and enjoy the great service, cheery atmosphere and delicious food they have to offer.